The Ventura County CoLAB Foundation is a public 501(c)(3) charity formed to promote the use of scientific data and education materials to support land stewardship, protect agricultural assets and preserve economic livelihoods in Ventura County. The Foundation will partner with local businesses and agricultural organizations to foster government transparency, business friendly regulations, ordinances and government programs. We aspire to build upon our existing strengths, commitments and engagements of the Ventura County CoLAB Organization by funding scientific and engineering research and educational campaigns. This way we can serve a common purpose and become a formidable agent for change in the community. We encourage all interested donors to Click Here to donate online. Or download the Foundation Donation Form and email or mail your donation to Rachel@colabvc.org or 1672 Donlon Street, Ventura, CA 93003. If you are interested in learning more about the Ventura County CoLAB Foundation and the important work we are doing, please contact at Rachel E. Culbert-Mastro (805) 633-2260 or Rachel@colabvc.org. The Ventura County CoLAB Foundation is one of the supporters for Treasure Our Farms. 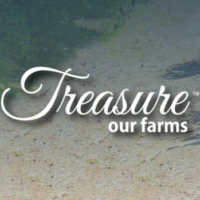 Treasure Our Farms educates and lays the framework for a deeper understanding of Ventura County agriculture and is designed to foster a greater appreciation of where our local food comes from. It presents a united front for businesses and people of the agriculture landscape to come together in an effort to positively shift the perception of farming and agriculture in our community. To learn more about please visit www.treasureourfarms.com. The Circle the Wagons Education Series is a quarterly lunch meeting put on by the Ventura County CoLAB Foundation that is free for our members to attend and open to the public for a small fee. We have speakers on pertinent issues ranging from agriculture and energy to water and land use. These meetings are purely put on to educate the community about important issues that will effect their businesses and/or daily lives. For more information on the next Circle the Wagons seminar, please visit our Events Page.